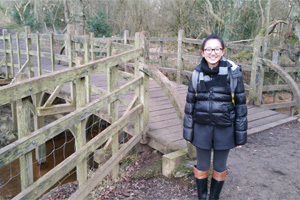 Elaine our new student from China visited the famous Winnie the Pooh bridge in the middle of Ashdown Forest not far from the language school. It was very cold so we only stopped for a very quick game of Poohsticks. Elaine's stick got stuck in an eddy and started going round in circles! 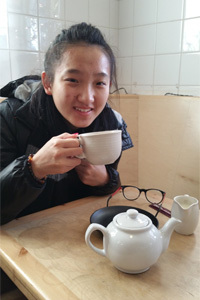 After we took Elaine to warm up with her first ever cup of English tea at a local farmshop.